Forget Iran and OPEC. There’s another issue that will keep oil prices supported for the next two years, according to Morgan Stanley. Brent crude will reach $90 a barrel by 2020 as new international shipping regulations take effect, overhauling the types of fuels produced by refiners, the bank’s analysts said in a report. Oil prices and the U.S. dollar are rallying in tandem—a dynamic that has only occurred 11 times since 1983, and it’s drawing the attention of market participants attempting to assess its significance. West Texas Intermediate crude oil traded on the New York Mercantile ExchangeUS:CLM8 which is up 12.2% in the past month, according to FactSet data, has shaken off a 3.6% rally in the previously battered dollar, as measured by the ICE U.S. Dollar Index DXY, -0.36% according to FactSet data. 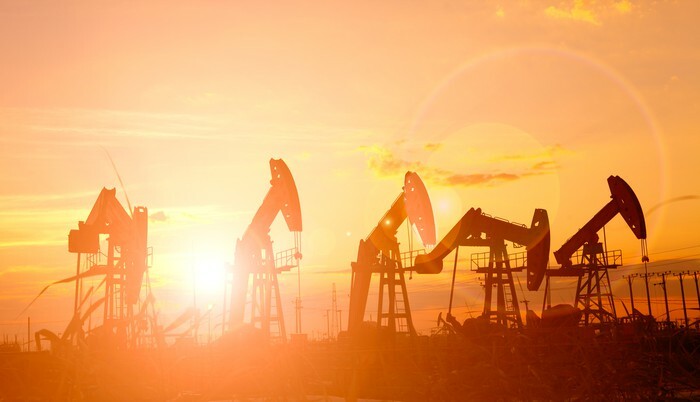 In its latest annual outlook, the IEA forecasted that strong economic growth around the world will continue to support strong oil consumption until at least 2023. Oil prices have been grinding higher and higher, spurring forecasters to predict they could hit $80 a barrel this year. Oil is already trading at its highest levels in three years after a 22% gain for U.S. crude futures over the past 12 months, and some market watchers expect prices to take out new milestones. While the oil market has experienced a few turbulent years, the chief executive of Italian oil and gas giant Eni believes the price of oil will eventually tick higher, but that it would still have to go through a transition period during 2017. "I think that the price is going up," Claudio Descalzi, CEO of Eni, told CNBC on Wednesday. Last year was another exceptional one for fast-growing global private equity investment. Capital committed to traditional funds, co-investments, separate accounts and direct deals hit an all-time annual record of $681 billion, beating the previous high set in 2015 by 9 percent. Private equity looks set for further records this year as new investors enter the asset category and as veterans continue to increase relative allocations. But both managers and investors need to be flexible and open-minded if they are to successfully negotiate the increasingly complex asset category. These ten predictions for private equity in 2017 make that abundantly clear. Until recently, the opportunity to invest in Venture Capital backed private growth companies (PGC) was only accessible to institutional investors and high net worth individuals with connections to the Venture Capital industry. However, ongoing changes in legislation, the emergence of alternative trading platforms, and new fund structures have brought this alternative asset to within the reach of all investors.